Though public transportation entities strive to maintain the personal safety of their riders, accidents do occur. In general, we only hear about the large scale disasters involving many people, but the fact is that every year there are thousands of smaller accidents where one or several people suffer a personal injury while using public transportation.These incidents can happen when you’re riding the bus or train or even when you’re waiting on the platform. When someone sustains an injury while on public transportation, they’ll need to enlist the services of a personal injury attorney in order to recoup medical and other costs. 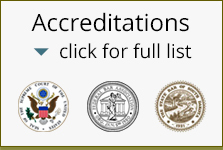 The attorneys and staff at Rapid City Law have an excellent track record successfully resolving lawsuits and cases like these in the state of South Dakota. All you have to do is concentrate on healing; it’s our job to make sure you receive fair compensation for your ordeal. Were you hurt while using public transit on the way to work or when you were coming home? By now you may be feeling stressed about things like how you’re going to be able to pay the high medical expenses you’re accruing. This is where our lawyers can help take the worry out of the process for you. We are experienced in calculating the current and future cost of your accident, including pain and suffering and the effect on quality of life that may continue long after the accident. Gregory A. Yates and Michael Shubeck have been practicing personal injury attorneys for decades and have achieved many favorable settlements between them. Just because we’ve worked with others who’ve suffered public transit injuries doesn’t mean your case is not completely unique to us. We offer a free consultation where we want you to tell us every detail about what happened in your own words. Then we’ll help you to understand your rights and what you can expect should you choose to bring a case against the responsible party. Call to set up an appointment today. With a high level of expertise, excellent case success rates, and a tenacious work ethic, you’ll soon discover why Mr. Yates and Mr. Shubeck are considered two of the best personal injury attorneys in South Dakota.